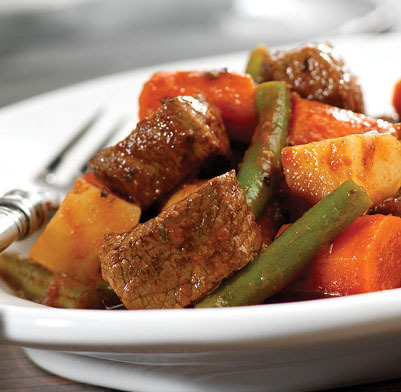 Leave this stew to absorb its flavour all day, so that it’s ready for your dinner that evening! Heat the oil in a medium frying pan and add the beef. Cook over a medium to high heat until well browned. Drain any excess fat. Add the beef, vegetables and stock cube to a slow cooker. In a separate bowl, mix in the V8 Original juice, herbs and salt before pouring in the slow cooker. Cover the ingredients and cook on low for 10 or 11 hours, until the beef is soft and tender. Serve piping hot.